Artist's impression of the Europa Multi-Flyby Mission. 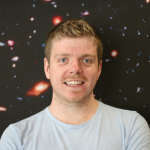 NASA/JPL-Caltech. 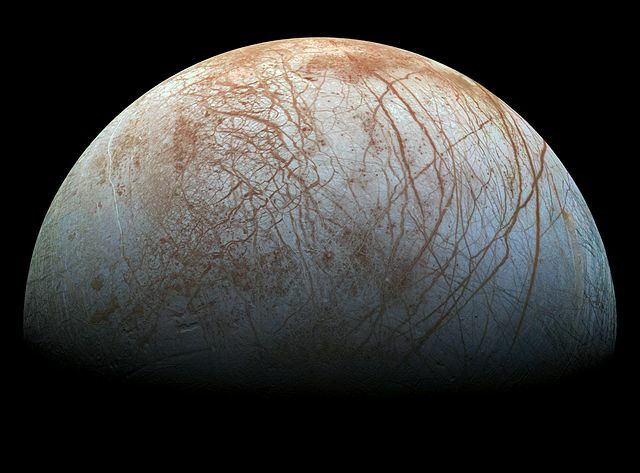 For years, scientists have been clamoring for a dedicated mission to Jupiter’s moon Europa, which almost certainly harbors a vast and potentially habitable ocean beneath its surface. Next decade, they are going to get their wish. Earlier this year, NASA confirmed that it is developing a $2 billion (£1.3 billion) mission to study Europa in depth, and it could launch as early as 2022. Tentatively called the Europa Multi-Flyby Mission, previously the Europa Clipper, it will involve about 45 flybys of the icy moon, using radar to measure the thickness of its crust and determine how big the subsurface ocean is. The mission will not orbit, instead performing wide sweeps around Jupiter, as the radiation at Europa is too intense for prolonged stays. But while the mission has been applauded, some scientists want more; namely, some are suggesting that the spacecraft should include a lander to touch down on the surface and probe the moon in even more detail. And last week, it was revealed that this is something NASA is exploring. What is lurking beneath the surface of Europa? NASA/JPL-Caltech/SETI Institute. Exactly what form this lander would take isn’t clear. It’s unlikely it will actually go beneath the surface of Europa; this is something beyond our capabilities at the moment, although some have suggested melting the ice or dropping in through surface cracks could be fruitful. It’s more likely this lander would be something akin to the Philae lander on Comet 67P, with a suite of instruments and cameras designed to investigate the surface. NASA has reportedly asked if the ESA would be interesting in supplying the lander, similar to the Cassini-Huygens mission, which consisted of NASA’s Cassini orbiter and the ESA-built Huygens lander for Saturn&apos;s moon Titan. The question of life is unlikely to be answered on this mission, but the venture could ascertain just how habitable the subsurface ocean is. And it may act as a precursor to a fully fledged lander mission at some point in future that could delve beneath the surface.